After countless conferences, technology journals, and anecdotes from fellow teachers, I think I’ve finally had it with listening to how great SMART or Promethean Boards are. Yes, they are a great feat of technological achievement (though, with the introduction of the Kinect, they increase in archaic appearance as the years go on). But, for the price, they are not the best use of money for student engagement and instructional strategies. These interactive whiteboards are expensive. Really expensive. That’s the first strike against them. But, to some, the price may not be a deal breaker. What isn’t negotiable, though, is the limitations inherently placed on the teacher by using one of these boards. As you can see in the graphic above, the Interactive Tablet allows the teacher to teach from anywhere in the classroom, while also writing/interacting with the computer. 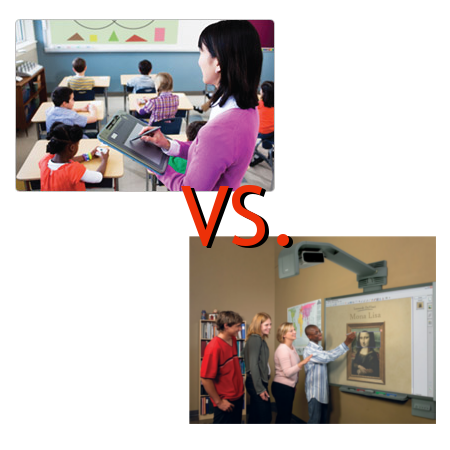 The SMARTboard, while equally (and sometimes, more) interactive, does just as much harm to the teacher’s ability to keep proximity to her students as the original introduction of the computer to the classroom. Instead of being tied to the desk, the teacher is now tied to the front of the room. Instruction cannot take place just from the front. 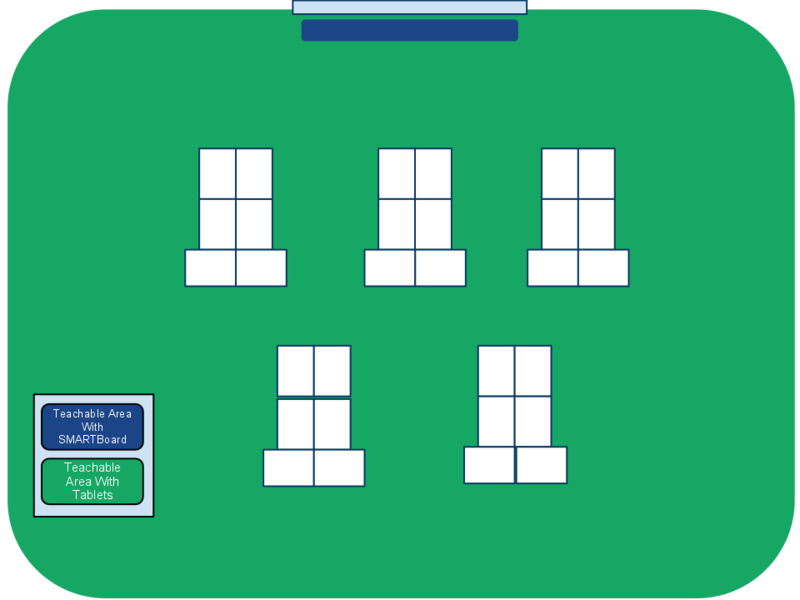 And, the Interactive Tablets help ensure the teacher can move to where she needs to without giving up the ability to keep the digital lesson moving. There are uses of the SMARTBoards. If it is mainly used as a work center for students, it is a great purchase, as some younger students don’t have the fine motor skills to write with the tablet, and using their fingers to drag and select on the SMARTBoard is a great strategy. I’ve seen SMARTBoards used to great success in classrooms, so the tool has its uses; however, for most teachers, the Interactive Tablet gives them great freedom, same interactivity, and at a third of the cost. NOTE: I purposefully didn’t mention a brand of Interactive Tablets, as I’m not shilling for a specific company. I’m shilling for a fantastic, affordable tool that many seem to overlook.